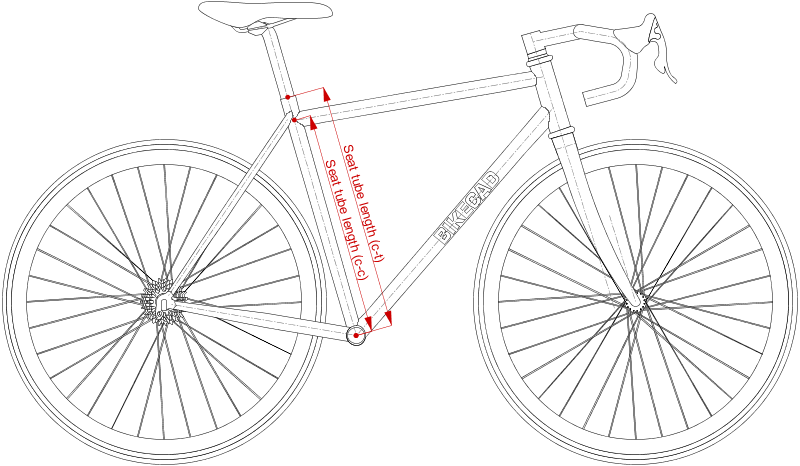 In BikeCAD, seat tube length can be input and displayed in two ways. The first measurement is from the center of the bottom bracket to the center of where the seat tube and top tube connect. This measurement is called Seat tube length (c-c). The second measurement is from the center of the bottom bracket to the top of the seat tube. This measurement is called Seat tube length (c-t). Another related dimension is the Effective seat tube length.